The CON file extension is associated with computer games, like Dark Forces, Tie Fighter, X-Wing, etc. created by LucasArts LucasArts Entertainment Company, LLC. The *.con file stores game data container. 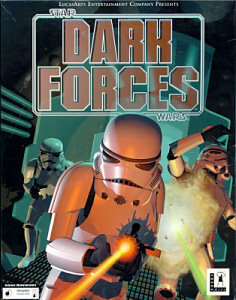 Star Wars: Dark Forces is a first-person shooter video game developed and published by LucasArts. It was released in 1995 for DOS and Apple Macintosh, and in 1996 for the PlayStation. The storyline within the Dark Forces is set in the Star Wars fictional universe and follows the character Kyle Katarn. Click on the software link for more information about Star Wars: Dark Forces. Star Wars: Dark Forces uses con file type for its internal purposes and/or also by different way than common edit or open file actions (eg. to install/execute/support an application itself, to store application or user data, configure program etc. ).